Ryan Rabon and his son Beau passed away while doing what they both loved the best, spending time with each other and fishing. Ryan gave the ultimate sacrifice of a father by attempting to save the life of his son Beau. A memorial service for Ryan and Beau will be held at 5:00 PM EST, Tuesday, April 10, 2018 at Cascade Hills Church, 727 54th St, Columbus, GA. There will be a service held in Moncks Corner, SC at Santee Circle Community Church, Thursday, April 12, 2018, at 5:00 PM. 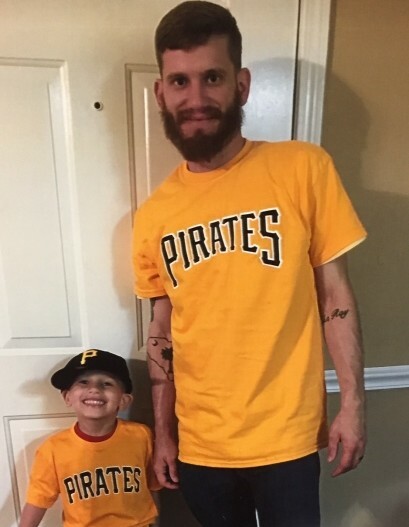 Ryan and Beau both loved fishing, hunting, nature and Beau enjoyed playing with the Pirates baseball team. Beau especially enjoyed making people laugh. Ryan was born in Charleston, SC to Wesley Rabon and Terry Gaskins Holley. Ryan proudly served his country by serving in the United States Army and was currently enrolled in Columbus Technical College in Columbus, GA pursuing a degree in HVAC. Beau was born in Columbus, GA to James Ryan and Allison Harris Rabon. Left to cherish the memory of Ryan and Beau is wife/mother Allison Rabon; daughter/sister Sarah Rabon and son/brother Camden Rabon both of Columbus, GA; sister/aunt Lena Rabon of Bonneau, SC and brother/uncle Calhoun Rabon of Troutdale, VA; brother in law/ uncle Cason Borum and brother in law/uncle Chandler Borum of Midland, GA; maternal grandparents Carrie and Matt Borum of Midland, GA; paternal grandparents Terry and Charlie Holley of Bonneau, SC and Wesley and Haley Rabon of Troutdale, VA. The family would like to give a heartfelt thank you for the love and support they have been shown by this community. The family would also like to thank the Columbus Fire Department, Department of Natural Resources and Georgia Power for their hard work and compassion they have shown.